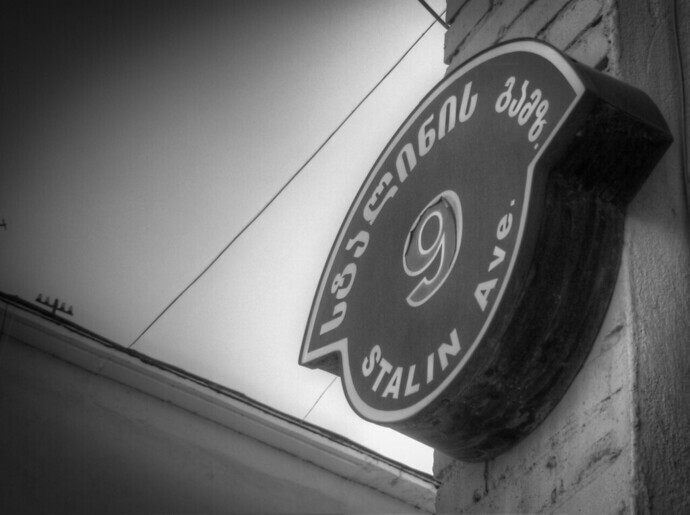 I showed up in the sleepy town of Gori, Georgia to visit the J. Stalin Museum; instead stumbling upon the enshrined home of Joseph Stalin in the town square just in front of it. This house is where Stalin was born in 1878 (possibly 1879) and spent the first 4 years of his life, supposedly in its original location. It’s something of a running joke in Georgia that their most famous compatriot happens to be dictator who may have killed more people than Adolf Hitler. But unlike the Germans, who’ve done their best to erase signs of their Austrian despot, Georgians have a more pragmatic and complex relationship with their notorious hometown boy. 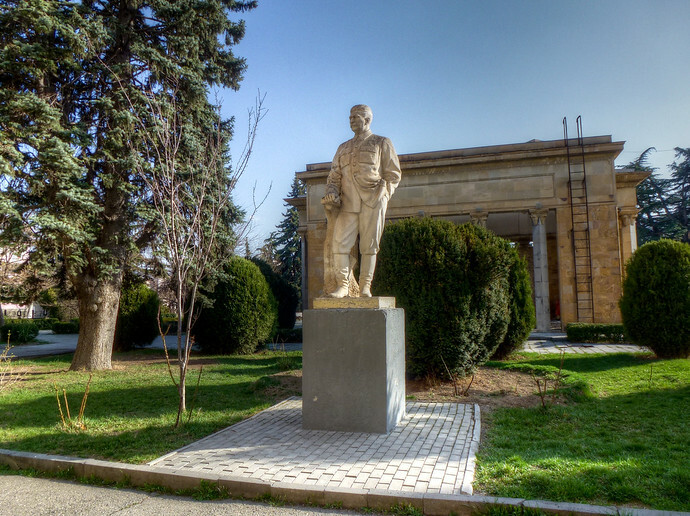 Statues in Stalin’s honor have been taken down as recently as 2010 (not far from this home above in Gori) while others stand just behind this home. Special thought was given to the detail around the marble tomb, built in 1937, with several communist symbols adorning the ceiling. Yet this past, protected especially in Gori, isn’t and hasn’t been easily accepted. Most people I spoke with don’t condone his actions but consider them a product of that Soviet era. The major line being drawn between whether or not it was a necessary era in Georgian history. A that line that happens to fall right down the middle of Gori. Entry to the home is a nominal fee (roughly $1.75 ~3 Georgian Lari) and a separate charge from J. Stalin Museum entrance. This reminds me of our recent visit to North Korea, where we went to the birthplace of “The Great Leader President Kim Il Sung”. It had a similar kind of shrine-like quality to it, the major difference being that the regime is still in power so it’s not (yet) a footnote in history. Fascinating, and a little spooky, to see how “notoriety” can often me mistaken for “greatness”. And ironically enough how one (Stalin/Soviet Union) in many ways lead to the other in North Korea and the dictators that followed and remain today. 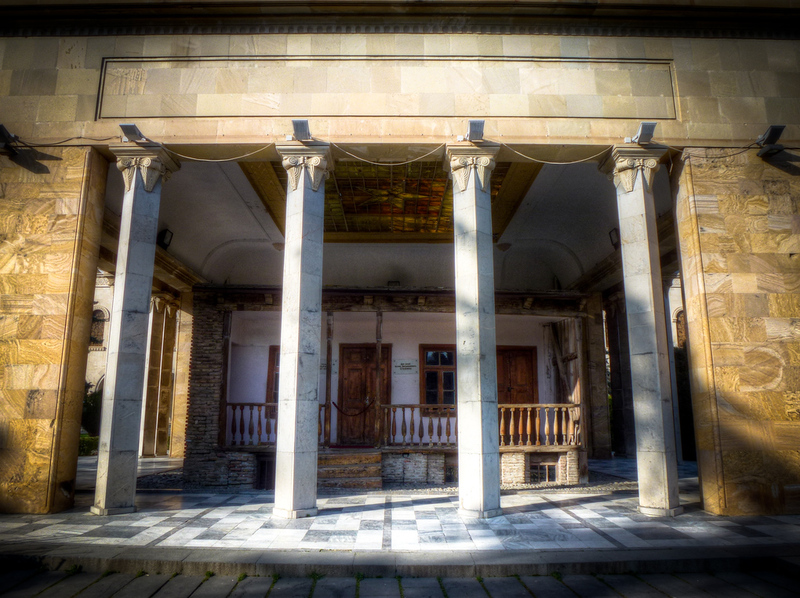 Gori was indeed haunting, I went when the statues were still. Georgia is one of my favorite countries. I didn’t know at the time that the statue had been taken down so recently and moved. I can see how it would certainly add to the unique feel of Gori.